Mar 2019: an updated version of this post is here search engine market share in APAC in 2019. Since this topic has become one of the most popular content on my blog, I am trying to update the data again. I would include the data source as per usual so that you could use it if you like. The popular way is to look at share of search query volume, however, I can’t find reliable source for that data hence i am using emarketer data based on search engine used by searchers in China. 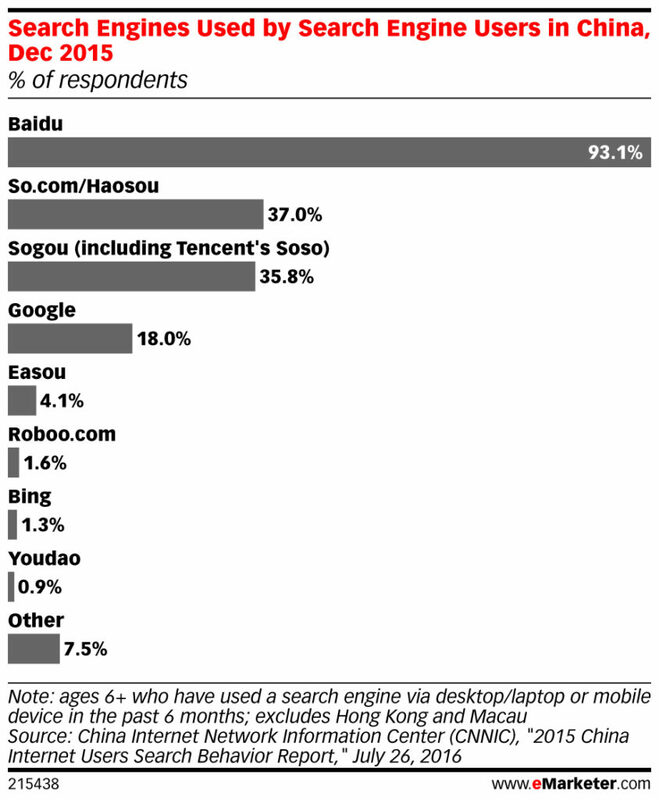 As expected, 9/10 searchers in China use Baidu. However, So.com and sogou do have a decent share as well. It’s surprising to see that 18% of searchers are still using Google as google is blocked in China. 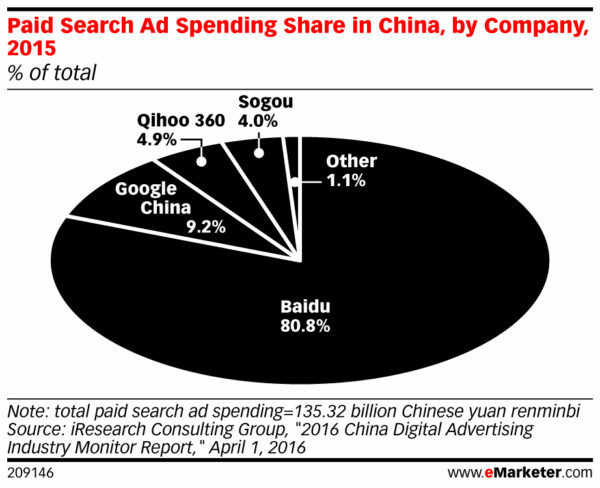 From a revenue point of view though, Baidu has the lion share of the paid search ad spend in China with more than 80%. Similar to other countries, many searchers in China are using their mobile phone to search. 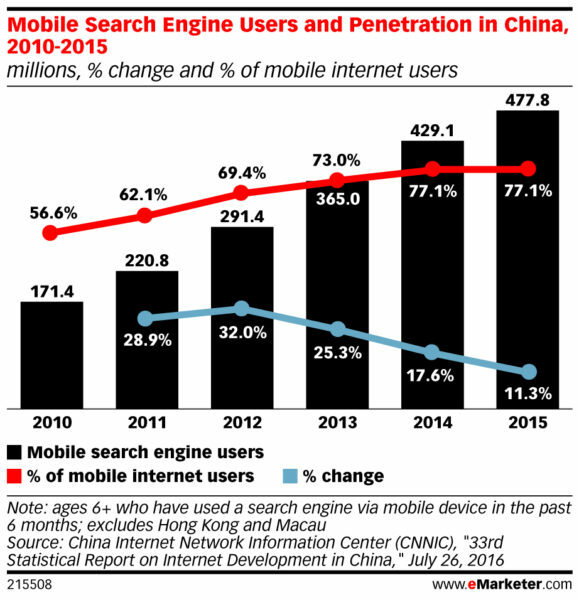 You may be amazed that the number of mobile search engine users in China is more than 480M. According to crossfinity and emarketer, Yahoo! JP has more market share on iOS devices (54%) or windows desktop/laptop (48.1%) while Google dominates android devices (probably because of the default settings). 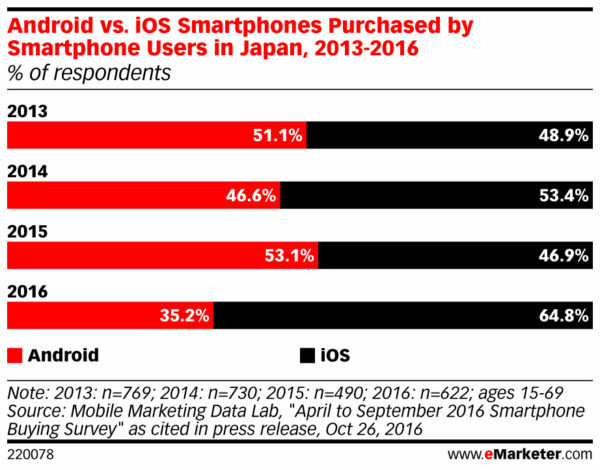 With people spending more time on Mobile devices and the fact is that iOS has bigger share 65% in Japan, Yahoo! JP has a strong search engine market share on mobile devices. I don’t have other more reliable source than the previous reported. The latest reliable data source that I have is still KoreanClick, a Nielsen company, back in Q2 2013. 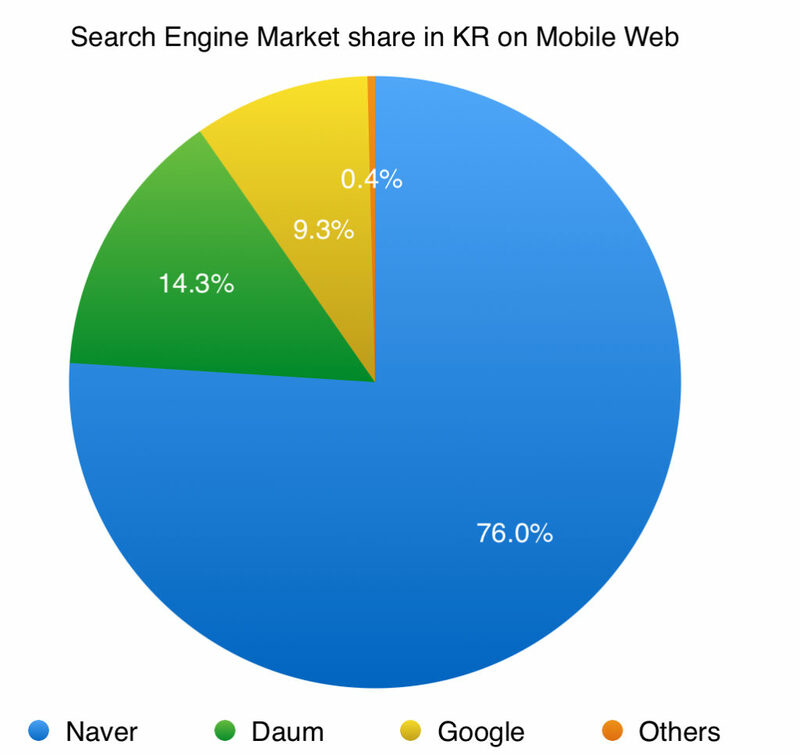 Naver and Daum still have more than 90% of the search engine market in South Korea. 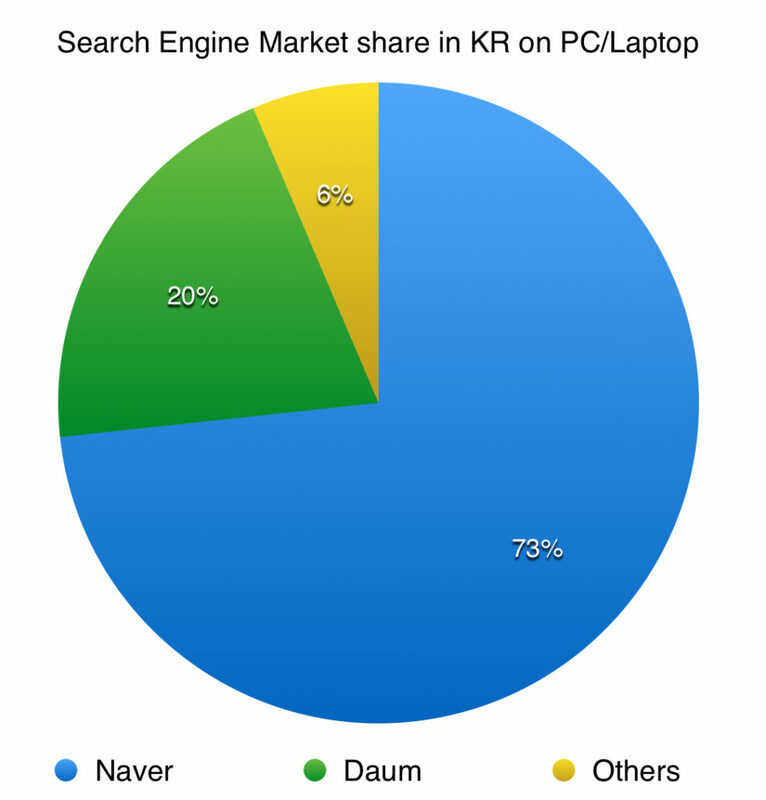 This makes it crucial to have Naver and Daum in your Search engine marketing plan when it comes to Korea. The spend on Google alone would be extremely limited. On Daum however, you would need to use Korean keywords and ad copies. 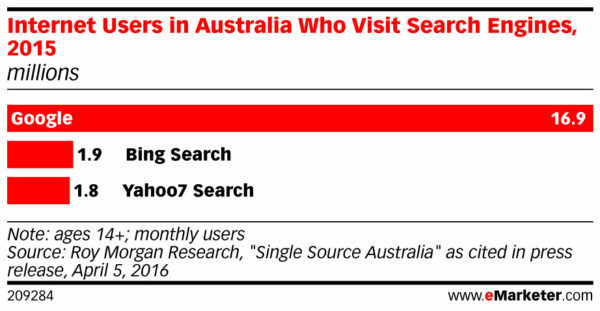 Similar to other western markets, Google dominates in Australia market. Similar to the last post on this topic, according to icrossing, Google has more than 90% of the search engine market share in India. This shouldn’t come as a surprise to anyone I hope. 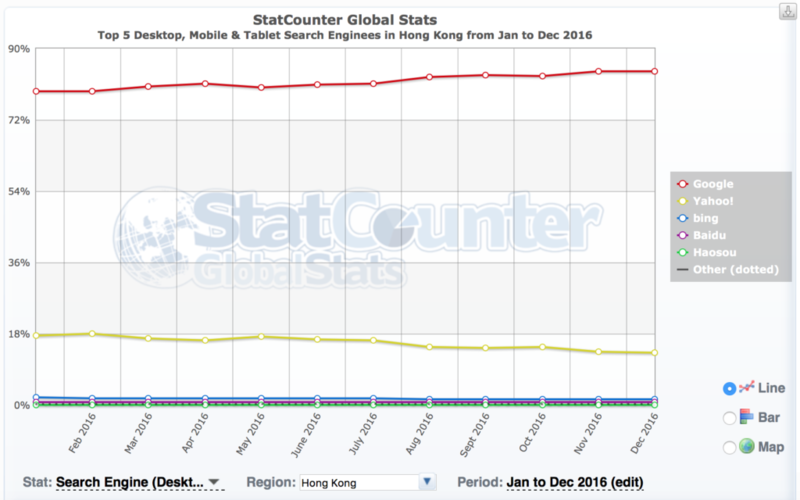 For HK and TW markets, I have to rely on statcounter data, it’s fairly accurate that Yahoo! still has about 18-20% share of the market and Google has the rest (around 80%+). The graph for Taiwan is essentially the same with Hong Kong hence I don’t include it here but you could see it from Statcounter website. Google has been dominating the search engine market share across all markets in Southeast Asia for at least 6-8 years. In 2013, comScore data showed us back then that Google had 90%+ of the market. Statcounter puts Google’s share of Indonesia market at 96%+ as well.